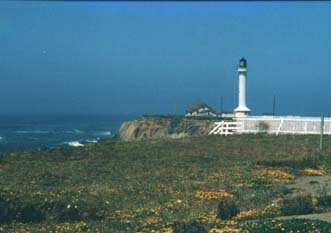 Our vacation during the summer of 1997 took us among other places to California, Oregon and Washington. I was able to visit or see eighteen lighthouses in all. 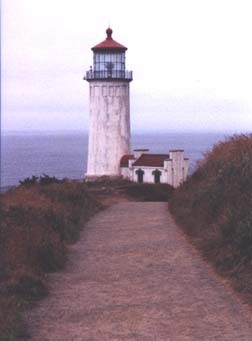 Until I have organized the images, and offer my planned page for each state and province, I will provide some of the lighthouses here. 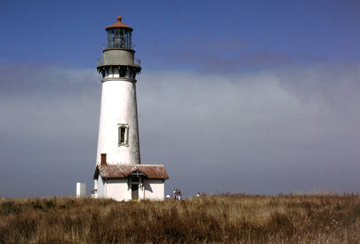 We visited six lighthouses in California, including two seldom mentioned ones on Lake Tahoe. 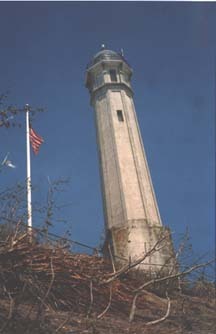 In order of visit, they were Rubicon Point and Sugar Pine Park on Lake Tahoe, Alcatraz, Point Arena, Point Cabrillo and Battery Point. A few of the lighthouses appear here. More and better images will come later. 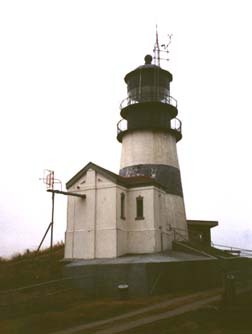 There are nine coastal lighthouses in Oregon. We visited or saw all of them. 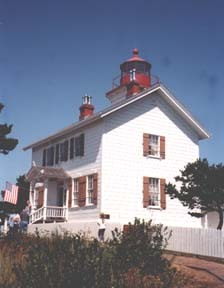 We managed to see only two lighthouses in Washington, since Mount St. Helen was also on our itinerary. The last time I saw those two lighthouses, in 1986, they were both in much better shape, each with a fresh coat of paint. They both look like they haven't been cleaned or painted in the twelve years since.